LAKE BERNADETTE VILLA! Don't miss this one! 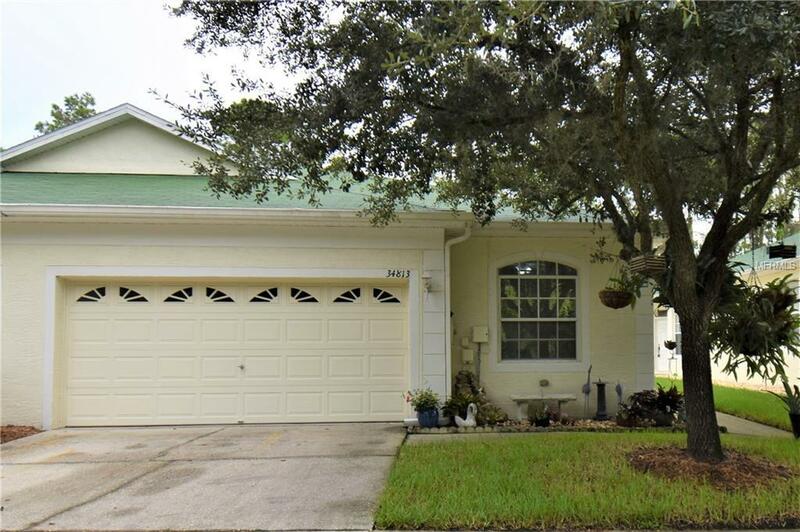 IMMACULATE 3 Bedroom, 2 Bath villa PLUS Florida Room & 2 car Garage! The curb appeal and landscaping are divine - the seller even added palm trees! There's a small tiled entry way as you enter the front door...perfect spot to kick off your shoes and relax in your Living Room. The 9' ceilings throughout the home and seller added touches such as wainscoting in the FL Room & decorative molding in the Dining Room add to the charm. The Kitchen offers a breakfast bar AND room for a small table, pantry & decorative plant shelves. The Master suite is large with TWO walk in closets PLUS a linen closet, dual sinks and tiled shower. The other two Bedrooms are split from the Master and share the Hall Bath. Both are nicely sized and the 2nd Bedroom is currently used as a Den. There are also TWO linen/storage closets in the hall ... SO much storage in this home! The amenities abound: TWO pools, recreation facility with exercise room, tennis courts, basketball court & playground! The fees also include roof replacement, exterior painting, ground maintenance & trash pick up. Come relax in the Florida sunshine!